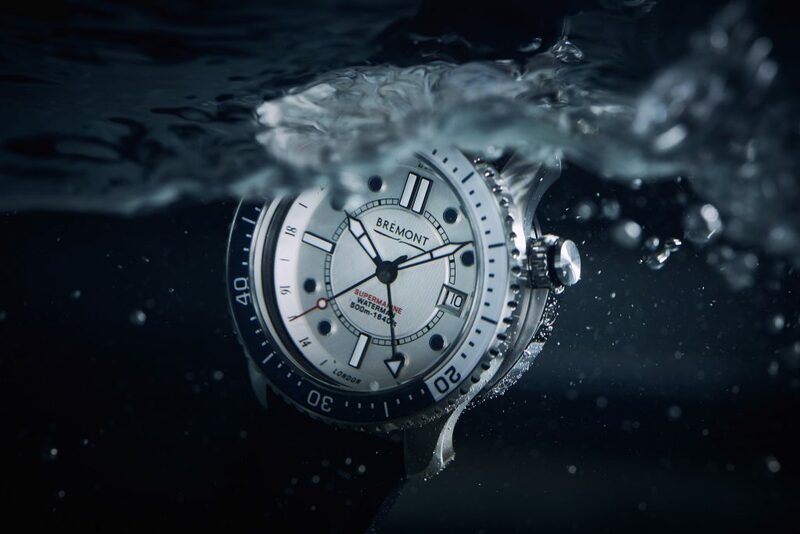 For a good number of years now, the Bremont Supermarine line has been known as a very well-executed alternative to more mainstream dive watches from Omega, Tudor, and other conventional mid-level offerings. 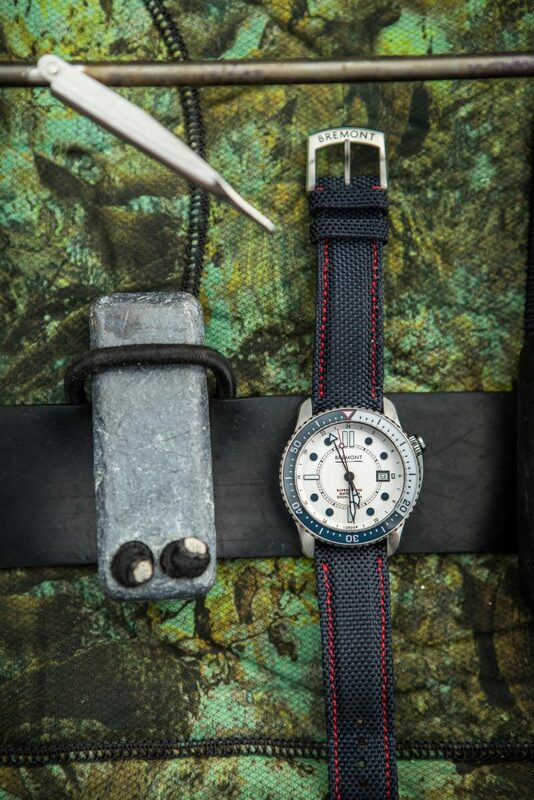 Known for their significant ability to take abuse, and their unique multi-piece Trip-Tick case design, for years the only thing that seemed lacking from the line was a GMT diver. With the launch of the limited edition Waterman—a 300-piece series priced at $5,995, available as of August 1st—Bremont closes that gap in a very stylish manner. 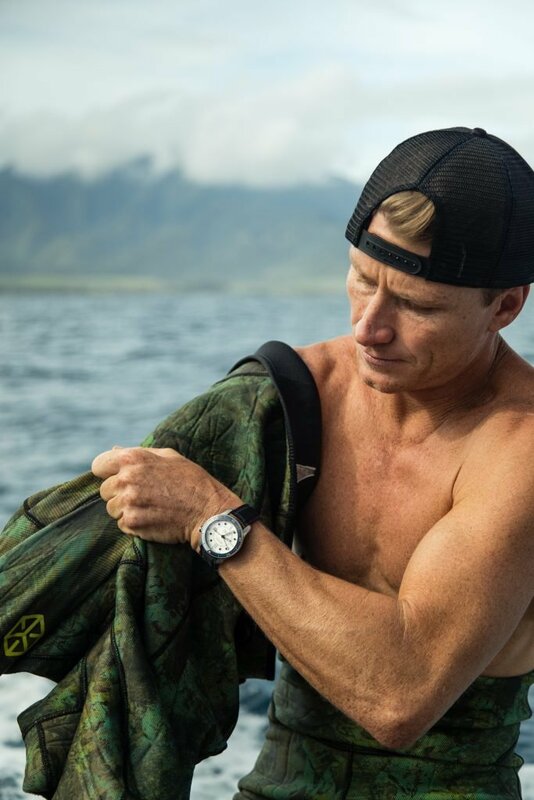 Once in its testing phases, Bremont turned to their new brand ambassador, freediver and big wave surfer Mark Healey for some real-world testing. Though the Supermarine has been around the block a while now, this is the first time the 500m dive watch has been fitted with a sapphire display caseback. 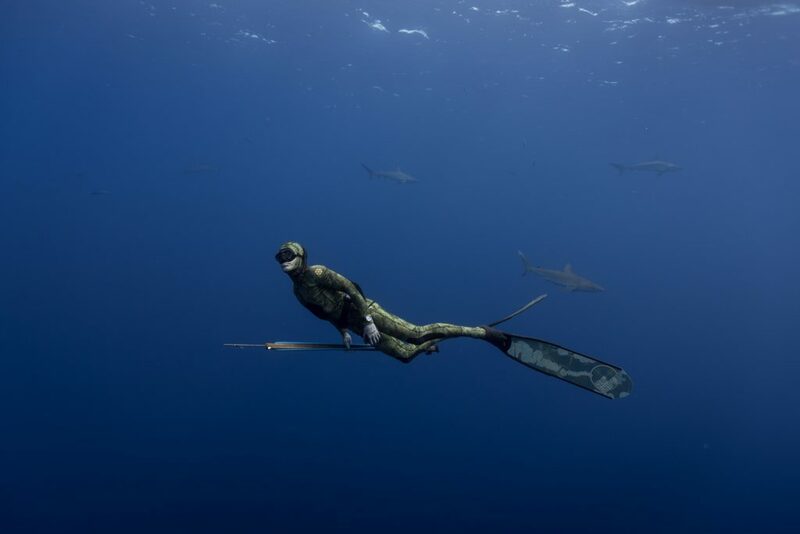 Obviously freediving won’t reach anywhere near its depth rating, but we are always pleased to see it when brands actually engage in some form of real-world testing rather than simply throwing watches into a pressure chamber. It’s precisely the unexpected bumps, drops, and shocks that come with daily wear that can make or break a watch in a way that can’t always be replicated in a sterile test lab environment. From an aesthetic standpoint the new Waterman ticks a lot of boxes, the crisp white/silver dial with navy indices gives the piece a rather unique aesthetic all while remaining very legible. The same can be said for its crisp ceramic bezel in a matching navy and white combination. 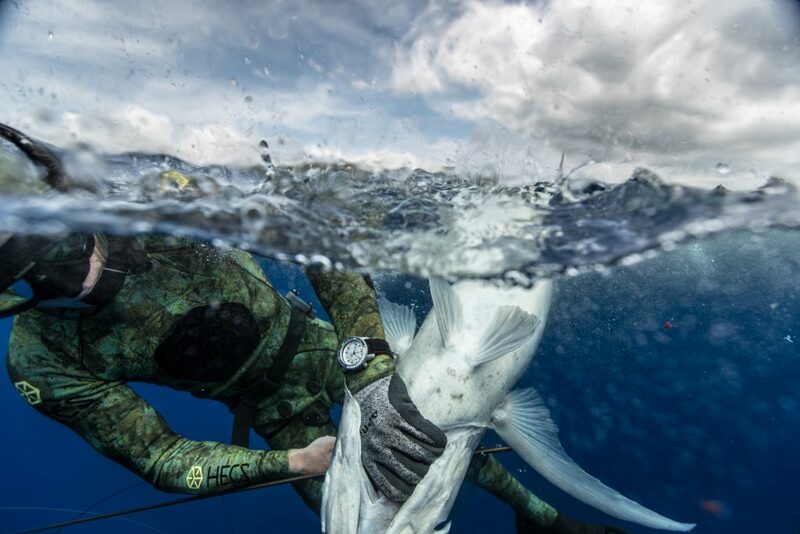 Based on the design of past Supermarine models, we don’t doubt that this example will come sporting a healthy dose of luminous material in its bezel, hands, and indices. What’s most appealing about this new release is the fact that this is one of the rare divers out there that sports the combination of a GMT hand, and a 60-minute timing bezel. The vast majority of the time, GMT watches will be fitted with a 24h scale bezel, rather than the configuration seen here. 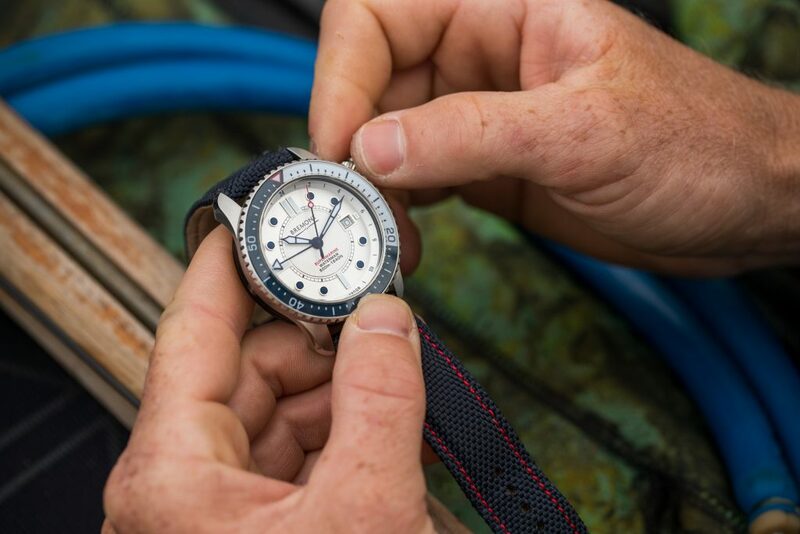 By moving the 24h scale onto the dial, the Supermarine Waterman becomes one of the few GMTs on the market with an additional layer of functionality from a practical standpoint. Coming in at 43mm, the Waterman (like its siblings in the collection) is definitely on the chunky side, though with short lugs so it is still wearable for medium-sized wrists, so long as you’re comfortable with a little bulk.